Karur Vysya Bank Mobile Banking services help the customer to discover quick and convenient way to manage their banking and services transactions. Consumers can access their account anytime, anywhere with Mobile Banking services. Android Banking Apps helps you check your account balance, transfer funds, pay your bills and much more. Karur Vysya Bank offers ‘’mPay’’ solution the next generation mobile banking service. We aim to be the Bank in the customers pocket with a whole new and exciting range of services and features; taking complete advantage of the latest technology in the market. Besides the application, SMS Banking and USSD channels are supported. 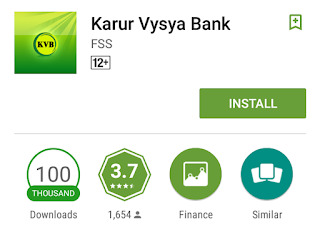 Karur Vysya Bank has been installed by 100,000+ users and has an average rating of 3.7. 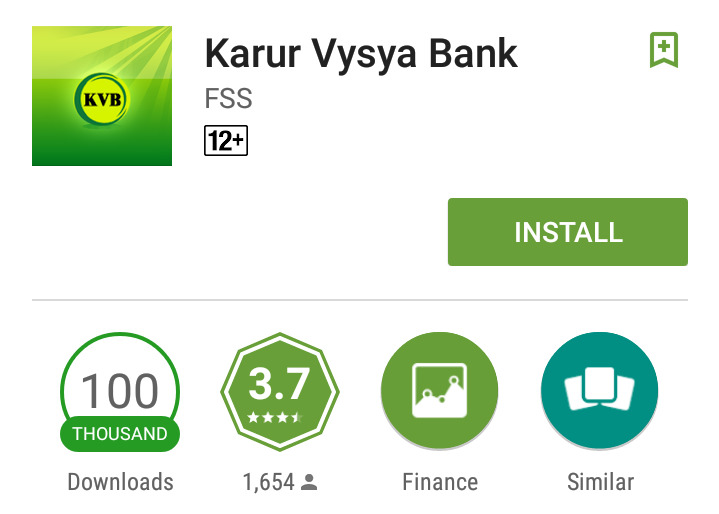 Karur Vysya Bank apps size is 4.3MB and can be installed on any Android device running version 1.6 and up. Karur Vysya Bank Mobile apps can be installed from the below link at the end of this write up. All the mobile banking apps brings to you a host of mobile applications to cater and make your banking experience satisfying and convenient. The basic requirement for accessing the mobile banking service, would be to register for the service through Karur Vysya Bank Website and after successful registration you would be able to access the service. To start using Karur Vysya Bank Mobile Banking services, you will have to register your mobile number with the bank. Users will also need to ensure that the GPRS/3G (Data Service) services are enabled on the same mobile device.